Arthritis is no fun. But there is now real evidence that nutrition can make a major contribution to keeping knees, shoulders, hands and joints flexible and healthy. There is also strong evidence that a deficiency of certain vitamins and minerals and nutrients is linked to a more rapid progression of arthritis. This is because the cells of your body are in a constant state of breakdown and repair and the right nutritional building blocks are essential for that repair. The key building block nutrients include calcium of course, vitamin D, vitamin C, vitamin K – together with Omega 3 and curcumin. 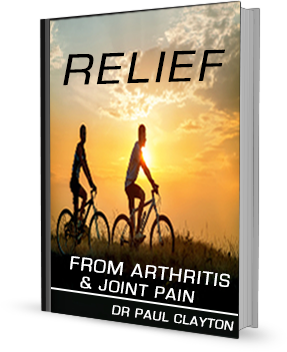 The common denominator behind these nutrients is that they are ant-inflammatory and also anti-oxidant – because inflammation in body tissues and free radical damage are root causes of arthritis and arthritic pain. Calcium is important for keeping your bones healthy and a deficiency increases your risk of osteoporosis, which is particularly common in women after the menopause. Calcium helps our blood clot, nerves to send messages and muscles to contract. You may also be at risk of developing osteoporosis if you’re taking steroids on a long-term basis. A lack of calcium in your diet can also increase your risk of developing a condition called osteomalacia – which is softening of the bones. The RDA for adult men under 70 is 1,000 mg a day and for women over 50 is 1,200 mg. Fish that are eaten with the bones (such as tinned sardines or salmon). Skimmed and semi-skimmed milk contains more calcium than full-fat milk. Calcium from food sources is preferred as there is some concern that excessive calcium supplementation may have a negative impact on heart health. But as always in nutrition it’s not as simple as increasing your calcium intake – because for calcium to be taken up and processed you need vitamin D.
Vitamin D is not naturally present in many foods, although oily fish like salmon, herring and sardines are a good source. Deficiency against the RDA is common especially in winter and as so many people now have office based jobs – but you should note that the RDA is being re-examined in both the UK and USA as the latest science indicates it is too low. You should look for a daily intake of at least 12mcg (240 IU) of vitamin D in a joint supplement. Poor vitamin C intake has been linked with arthritis – partly because the production of collagen (the most abundant protein in the body) requires vitamin C – together with the amino-acids proline (found in dairy) and lysine (found in dairy, fish and chicken). One study, conducted in Great Britain, indicated that people who had low levels of vitamin C were three times more likely to develop Rheumatoid Arthritis than people whose diets included foods rich in vitamin C.
What is ‘rich’? Many health researchers now believe an intake of up to 500 mg is optimum. So make sure you get your 5-9 a day! Vitamin K is important – with vitamin D – for bone growth AND helps ensure that calcium does not build up in arteries. Studies suggest that vitamin K destroys inflammatory cells that contribute to rheumatoid arthritis. Other research links low levels to an increased risk of hand and knee osteoarthritis. Vitamin K also reduces fracture risk; eating a daily serving of dark green, leafy vegetable may cut the risk of hip fractures in half. You need a daily intake of at least 75mcg of Vitamin K in a joint supplement. Arthritis is an inflammatory disease – so anti-inflammatory nutrients should feature high in your diet and in any supplement. Omega 3 has been shown to be a powerful anti-inflammatory nutrient and is cardio-protective too. An effective daily intake would be 1,000mg. For centuries, natural healers in India have used the spice turmeric to help maintain healthy joints. Curcumin – the nutrient in turmeric – is a potent anti-inflammatory and an effective arthritis supplement should certainly include curcumin (at about 700mg a day). And perhaps add extract of pomegranate, one of the oldest cultivated fruits in the world, which has significant antioxidant strength for suppressing free radical damage and has extra anti-inflammatory properties. Some experts also suggest combining a specific joint supplement with a general supplement that includes grapeseed extract. That makes sense as studies have indicated that grapeseed extract may have as much as 20 times more antioxidant power than vitamin E or vitamin C.
This article has concentrated on the nutrients you need to help treat arthritis – but exercise is important too. You can find a good series of exercises from this link.